After presenting the Galaxy S8, Samsung also announced the new Gear VR headset and controller, which will be available as early as April 21st for only $129. If you already have a Gear VR you can only acquire the controller for only $39. 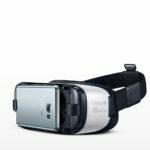 The new Gear VR is way cheaper than the Oculus Rift or the HTC Vive, but it’s still more expensive than Google Daydream View and the previous Gear VR. 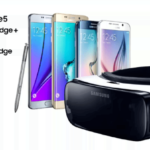 But Samsung can make the case to justify the higher price with a better mobile Virtual Reality experience. The new controller is very comfortable, much more than the older one. The motion tracking system is pretty accurate, and it feels good in your hand. It’s a little bit curvy but your fingers will feel natural on the top trackpad and on the back trigger button. Another good news is that Oculus updated its Oculus Home experience for the Samsung Gear VR headset. It starts much quicker than before. 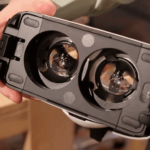 The Oculus Home also looks clearer than in past versions. The text is now easier to read due to an increased pixel resolution, which can be tested appropriately with the new VR web browser. 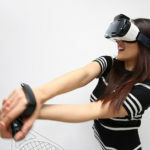 Oculus claims there will be 20 compatible titles for the Gear VR next month, and more than 50 games already being developed. On top of that, Oculus Avatars will also be available for the Gear VR with the new update. You can create your own VR avatar and use it both in the Gear VR and the Oculus Rift.